Yep, we bit the bullet took the big kids back to the happiest place on earth. Maybe it's just that last time we went I was pregnant so I was filled with feel-good hormones, but this time was not as easy-breezy as the last. So I learned the hard way (read my daughter throwing up on *my* bed), what to do to make the most of your Disneyland trip. Plan ahead. Book character dining, transportation, hotels, tickets etc well in advance, these things fill up fast and you don't want to waste a morning waiting in line to buy your tickets. 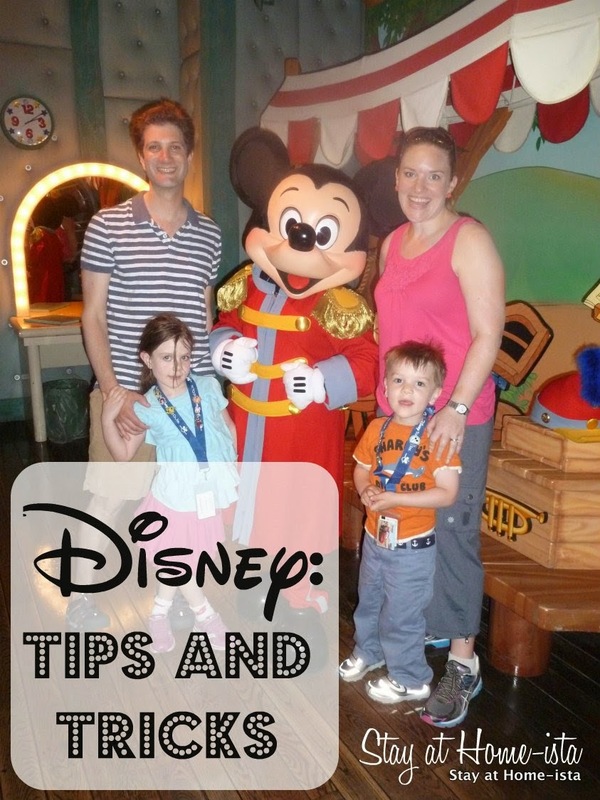 Check out my advice on airplane travel with kids if you need to fly there. Know your kids and what they like. If they hate the dark, Space Mountain just isn't going to work for you. Keep it age appropriate. Last time, with a 2 and 4 year old we mostly did Autopia, carousels, teacups, and every single fricking train we could find:) This time they didn't care about any of that AT ALL (except the teacups, which are an enduring favorite) and just wanted roller coasters. To quote my 4 year old "I like the zoom, zoom, fast, up, up, down, yay"! Imagine that with hand movements and a LOT of jumping. Take advantage of Magic Morning hours, and do the "must-do" rides then. For us this was the new Cars ride at California Adventure, and Space Mountain at Disneyland. We had less than 15 minute waits for each one, which was amazing considering later in the day wait times topped 2 hours! Keep them fed and watered. This is what happens when you forget. Take breaks. This time we stayed at the Grand Californian Hotel, which was attached to California Adventure, so we could easily go back. Also, the room had bunk beds which made our kids incredibly happy. 6am: wake up. Vacation doesn't turn my kids into sleepers, sigh. 8am: we are *in* the park! Rides, rides, rides! 4pm: Back in the park for more rides! I had purchased 50 pins on eBay, and gave them to the kids beforehand thinking that pin-trading would be a fun activity and keep them busy in lines and at meals. Plus, the backs kept falling off and we would lose them, fine since I paid about 25 cents for each one, but if I had bought them for $7 at the parks I would have been steaming mad. Plus, they weren't interested for a minute, and no one around was trading pins (or even wearing them)! Maybe they just needed to be older? Oh, and the part where my daughter threw up? It was because we had let her eat all the cr@p they have there (for 2 meals). Minus 1 point for the parents; lemonade is not a food group, and neither are churros or ice cream sandwiches. After that we went back to "normal" eating, eggs and fruit at breakfast (no mouse-shaped pancakes), a real lunch, and fish or chicken with veggies for dinner. we are going in october when we are in LA for my brother's wedding already. can't wait! will remember this! What's a trip to Disneyland without someone puking? Disney's only about 1.5 hours away from San Diego by car so it's a common destination for people around here. My kids have little interest in the pins, but my understanding is that if a kid wants to trade a park employee for one of their pins, the employee is obliged to trade. Also, I uploaded a few ride wait apps onto my iphone which helped keep us on top of things last time we were there. Oh! And my kid puked too. Yup, good times. Good times.